Freshen up your living or work space when you use our Calcium Carbonate Chalk Paint Additive. 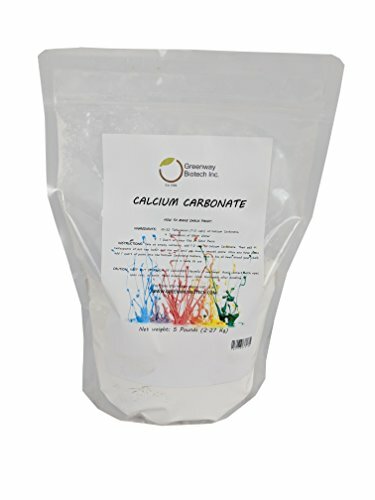 Although Calcium Carbonate has many purposes, this Calcium Carbonate Chalk Paint Additive is popular for making DIY chalk paint at home, for crafting and decor purposes. All you have to do is add it to latex paint to make a chalky paint for use on furniture to give it an antiqued look, or on a blackboard to give you more control over the art than a conventional chalk stick. The granulates of Calcium Carbonate dry to a natural matte finish, which can then be left as is, or painted over with a glossy finishing coat-this product is very forgiving and versatile. A quick search online for chalk paint finished furniture delivers a wealth of tutorials and how-to's on using this product to make just about anything-even Ikea furniture-into something new. Our customers love Greenway Biotech's Calcium Carbonate Paint Additive because its marble white appearance and fine composition (200 Mesh) allow it to mix so well with latex paint. Once added, your latex paint will give your furniture and walls the smooth, clean look you are after. It's the closest thing to an authentically aged piece of furniture from a French farmhouse, without the expensive antique furniture price tag. Thank You for Considering Us! If you have any questions about this product by Greenway Biotech, Inc., contact us by completing and submitting the form below. If you are looking for a specif part number, please include it with your message.